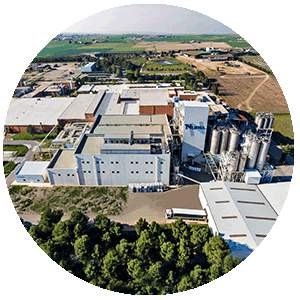 As part of SAMCA Group, NUREL is a polymer and fiber producer based in Zaragoza, Spain, with over five decades of production expertise. SAMCA Group is private and family- based shareholding structure that thanks to its strategy of reinvesting generated funds, it has become a financially-sound business group. SAMCA Group is present in 8 countries and 8 different industrial sectors, among which are Renewable Energies, Plastic Polymers, Synthetic Fibers and the Agrifood sector. SAMCA Group directly employs approximately 3,500 people. NUREL started its operations producing polyamides in 1968. The acquisition by The SAMCA Group in 1999 brought successive investments in new technologies that reinforced NUREL’s presence in the polymer market. The corporate commitment of all the companies with in the SAMCA Group towards sustainability is aimed at reducing the impact of greenhouse gases, minimizing dependence on fossil oil derivatives, promoting the use of renewable energies and reducing plastic waste in the environment. Simply, our main objective is to achieve a sustainable economic development, responsible with our environment. NUREL has three differentiated business units: Biopolymers, Engineering Polymers and Synthetic Fibers. 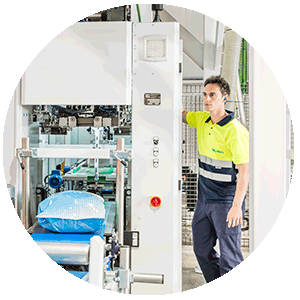 Our site in Zaragoza employs overall 350 people and has a production capacity of 27,000 tons of polymers, 14,000 of compounds and 7,200 tons of nylon yarns. 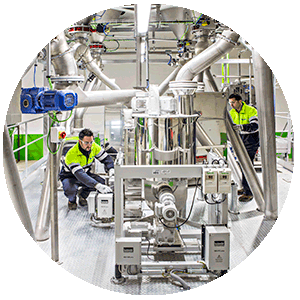 Since 2015 we have invested in state-of-the-art compounding facilities for our INZEA biopolymers production. 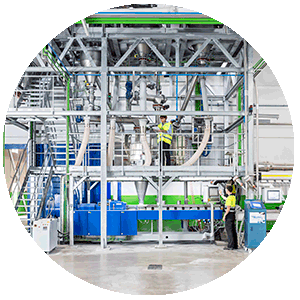 NUREL BIOPOLYMERS manufacturing is focused to guarantee high quality materials with consistent properties to replace conventional non-renewable plastics. In accordance to our commitment to sustainability, our plant has achieved the ISO 50.001 and ISO 14.001 certifications. Quality is a strategic value for NUREL and is one of our main tools to contribute to our customers’ satisfaction and to achieve common success. According to our commitment to quality, NUREL has achieved ISO 9001 certification.